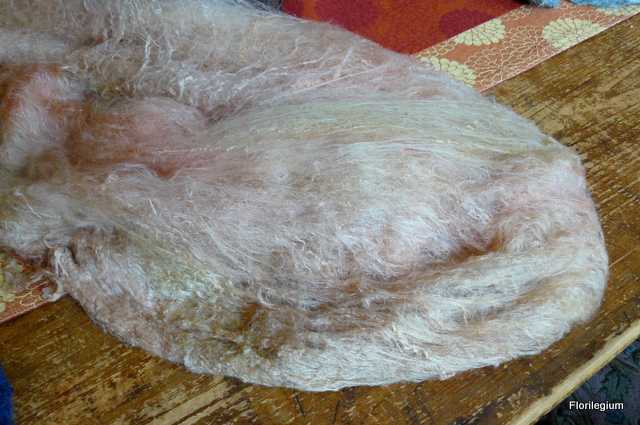 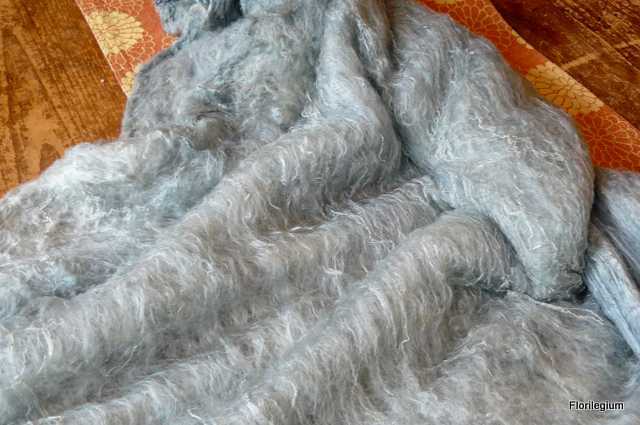 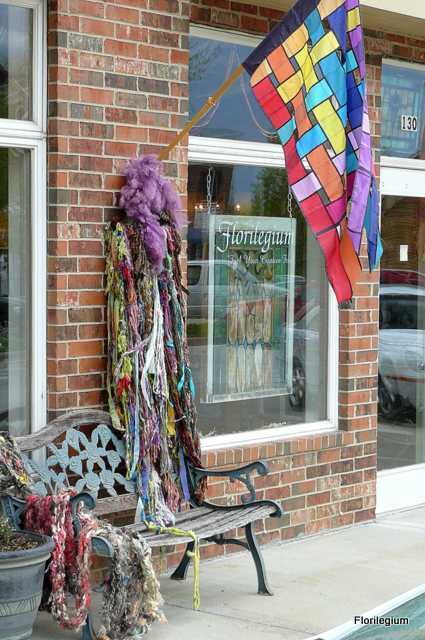 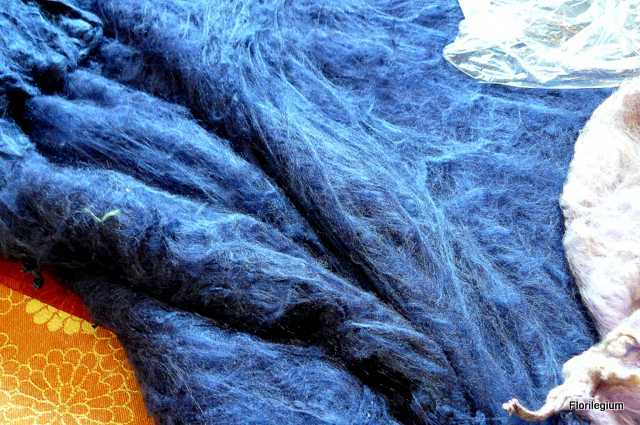 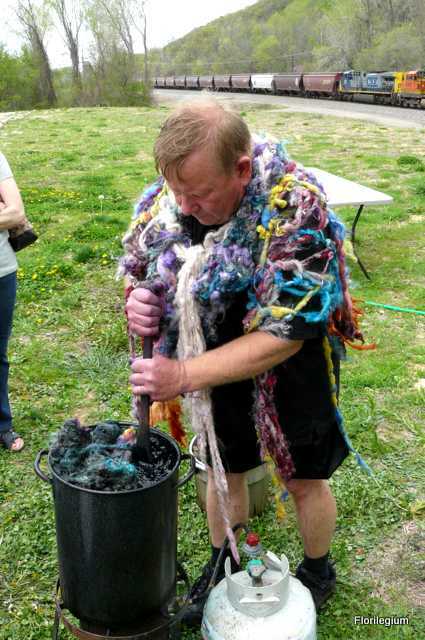 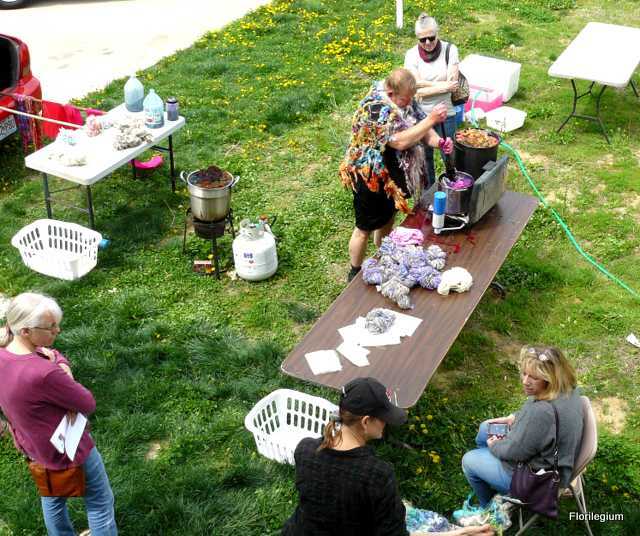 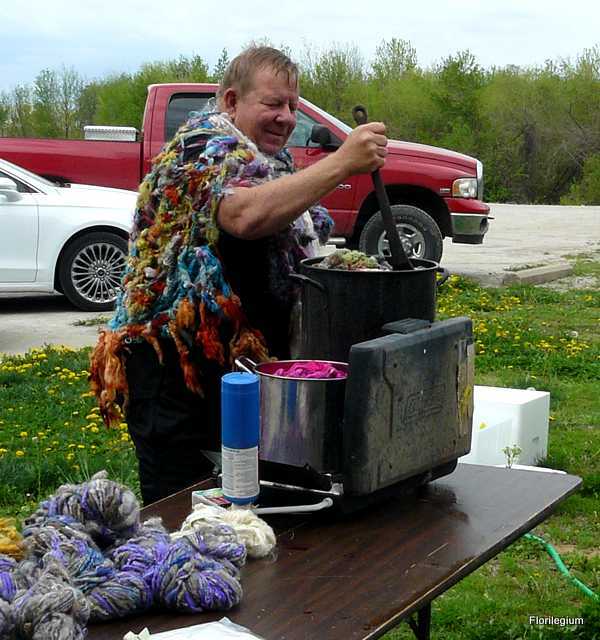 David Gentzsch, the artist behind Ozark Handspun, spent the afternoon with us, sharing a glimpse at his dyeing process and armloads of his glorious creations. 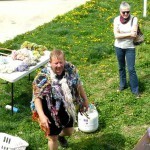 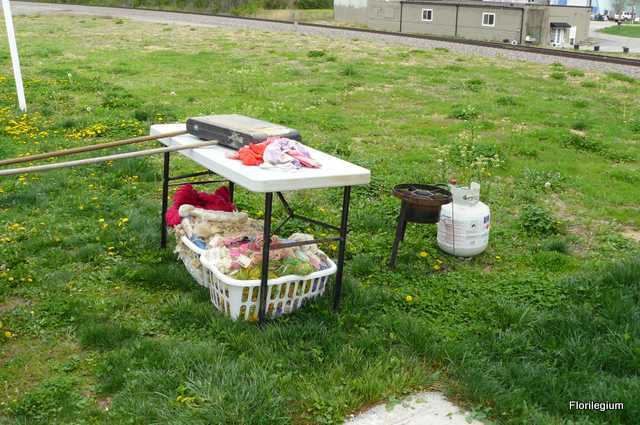 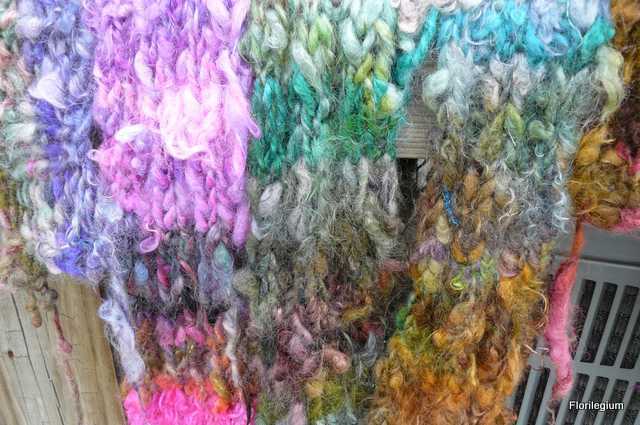 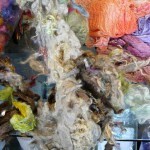 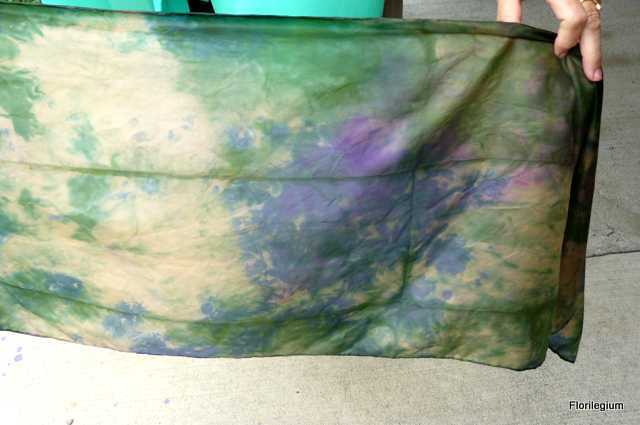 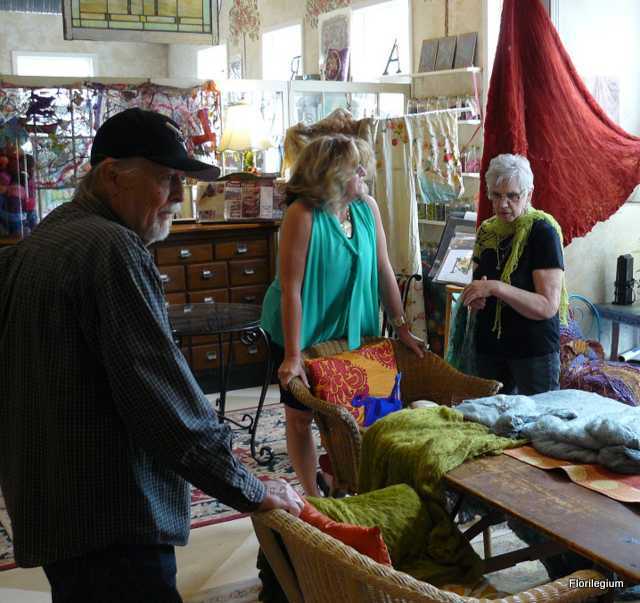 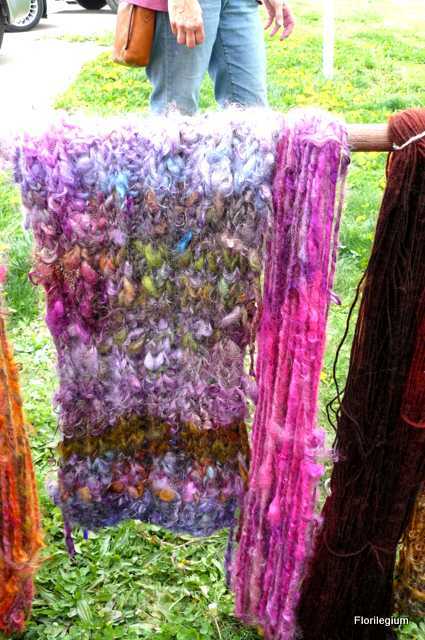 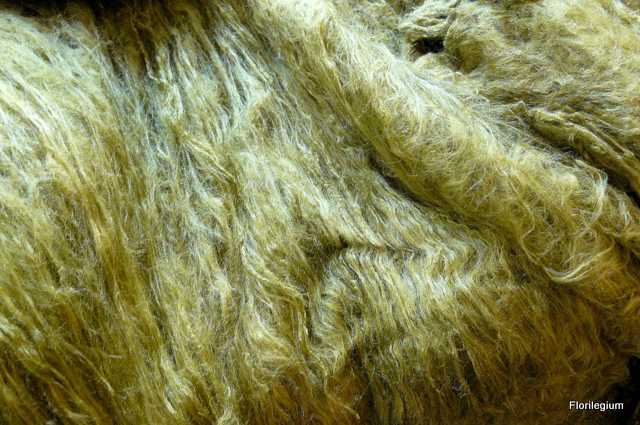 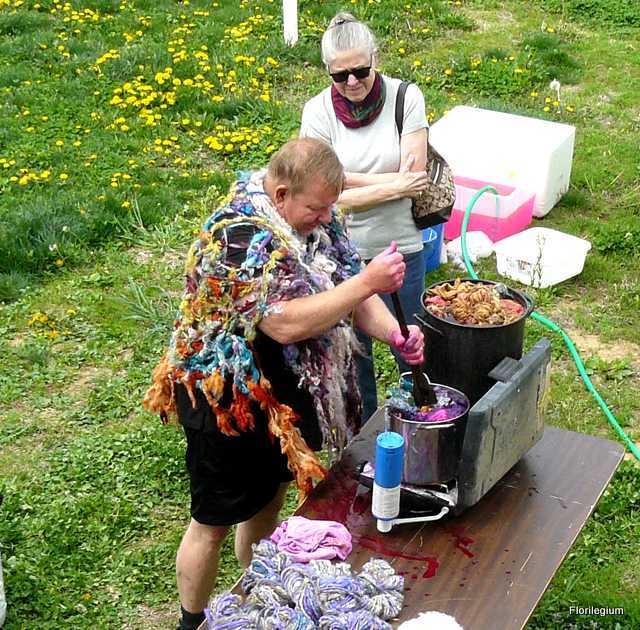 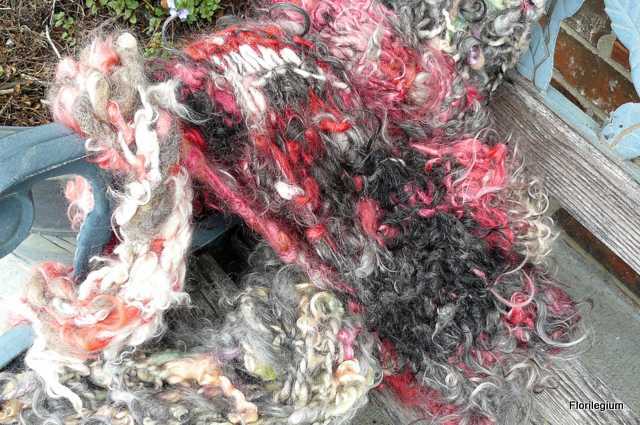 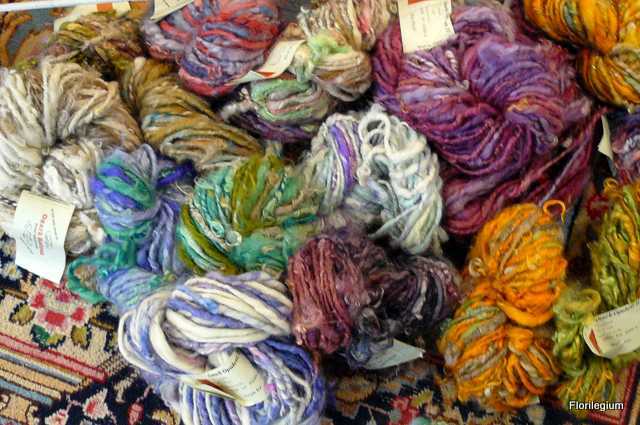 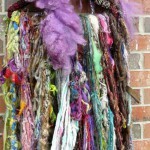 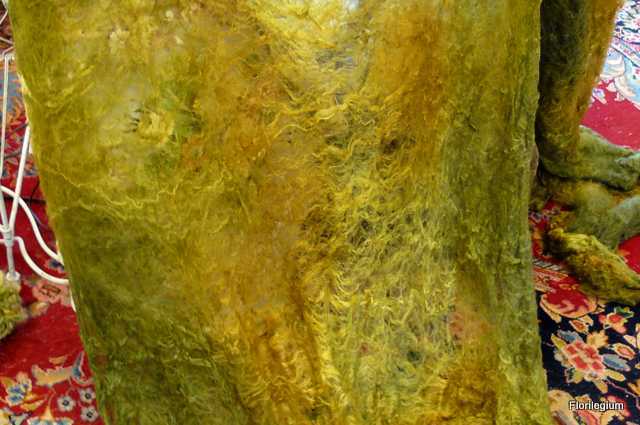 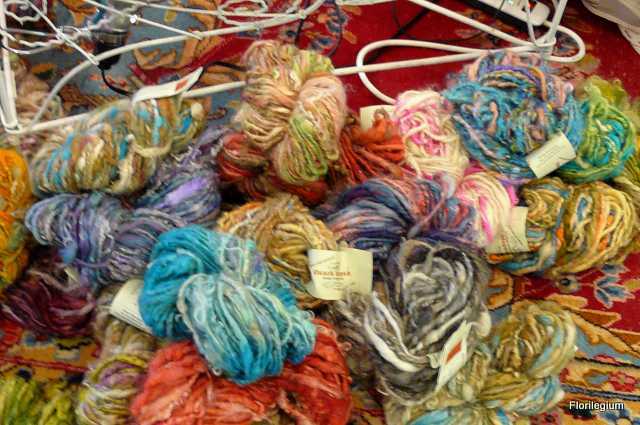 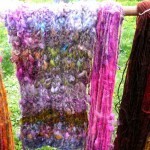 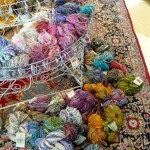 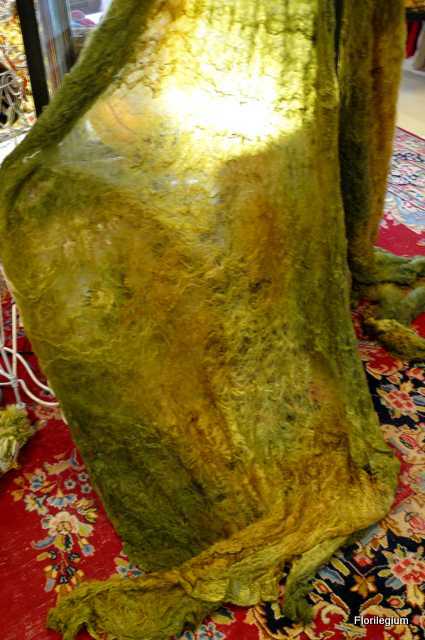 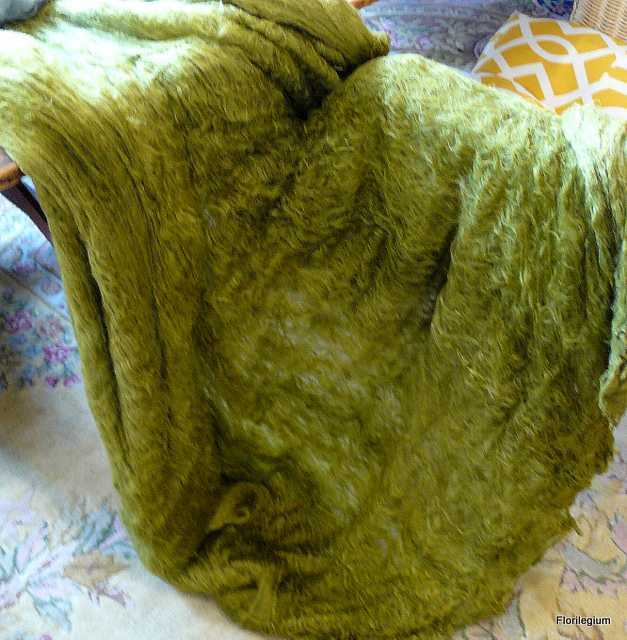 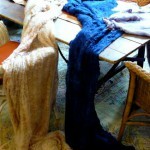 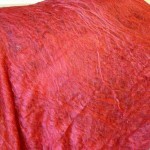 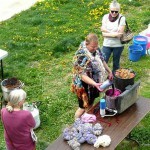 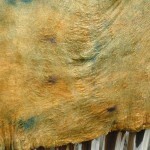 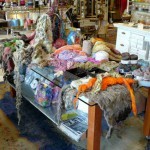 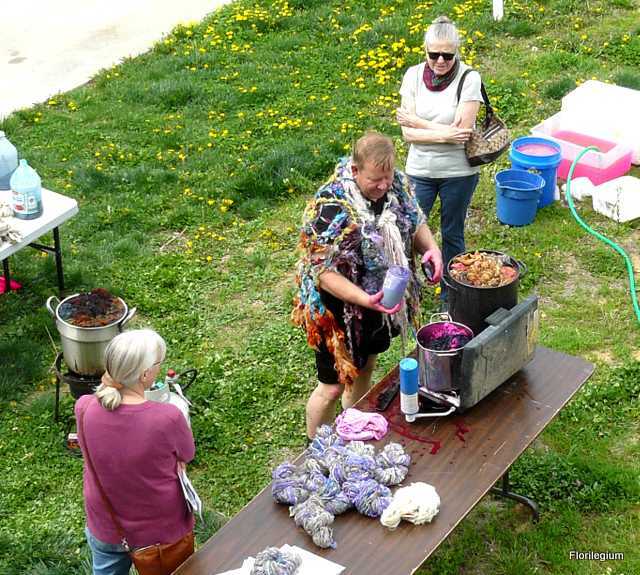 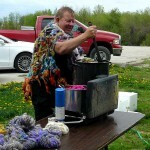 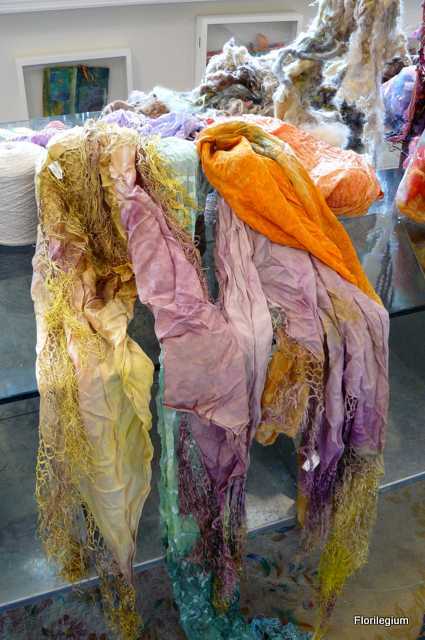 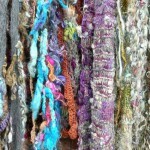 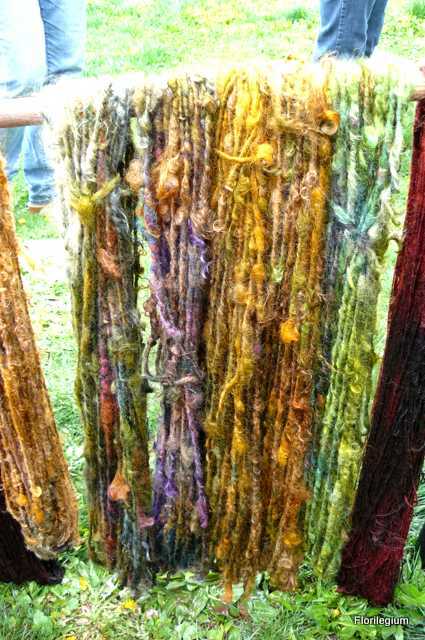 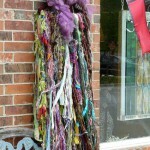 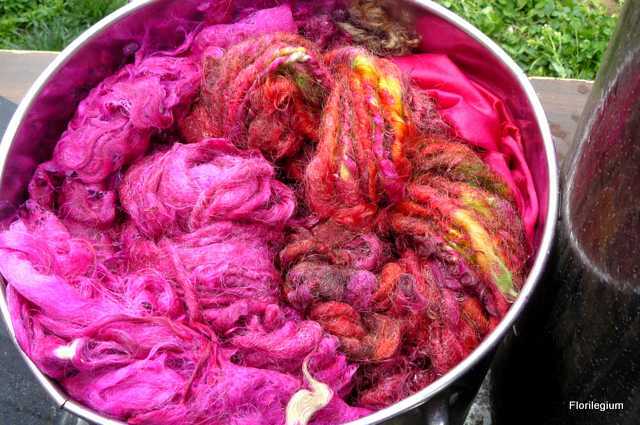 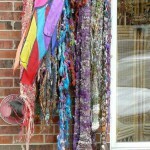 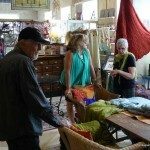 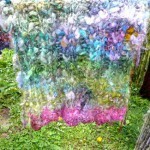 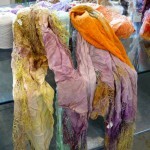 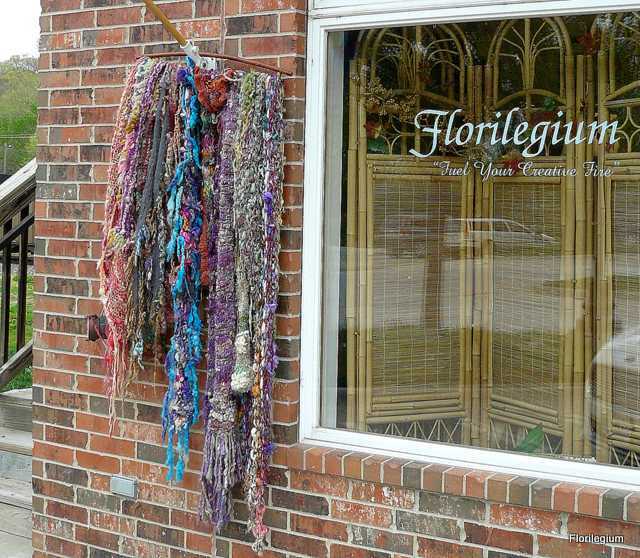 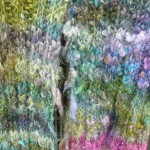 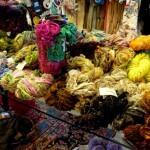 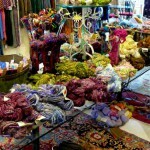 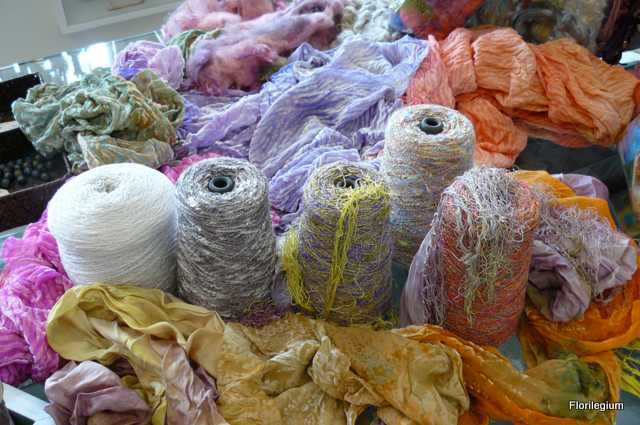 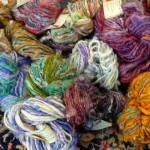 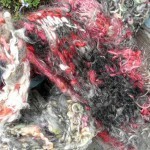 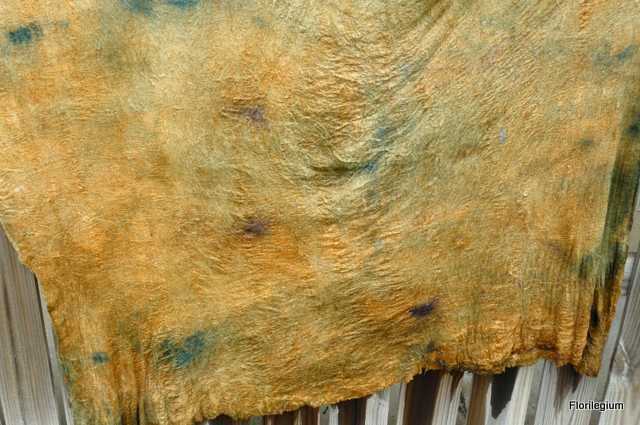 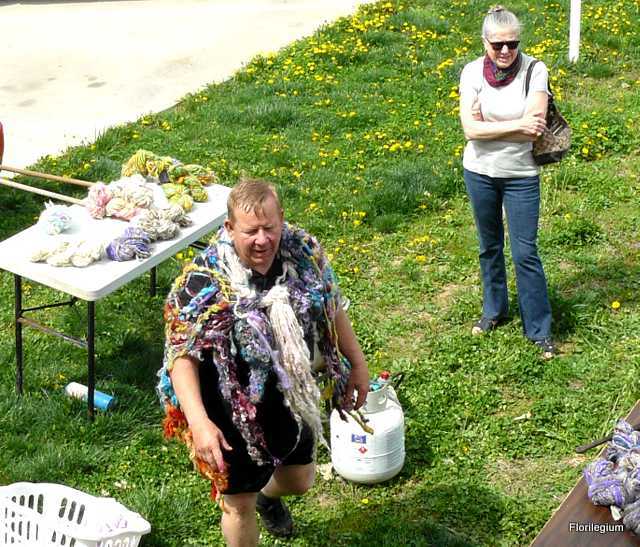 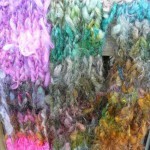 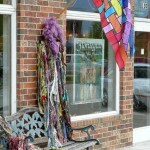 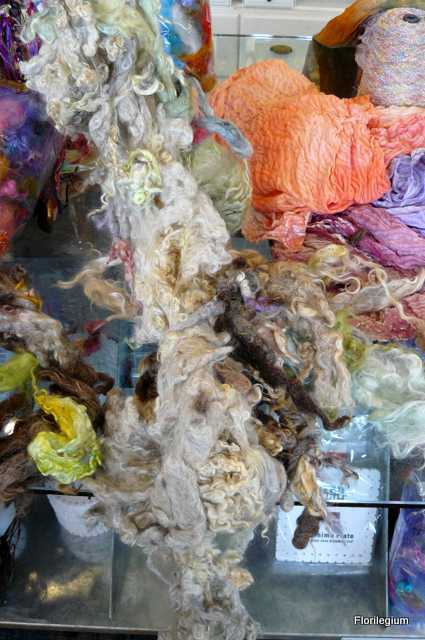 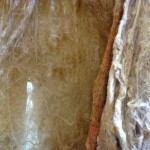 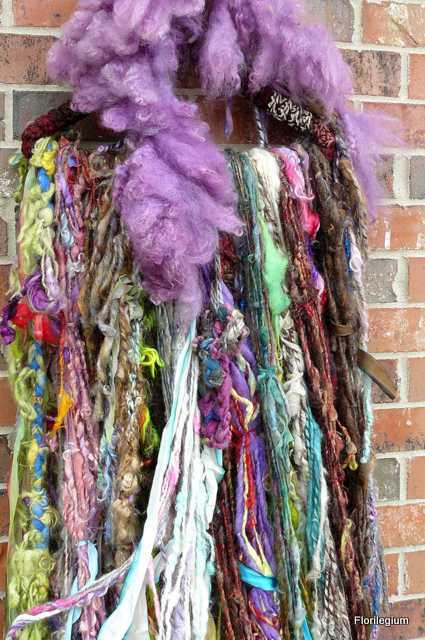 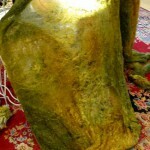 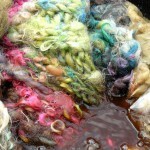 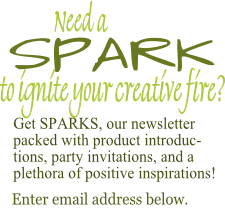 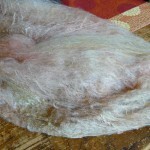 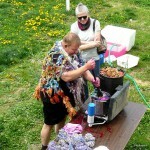 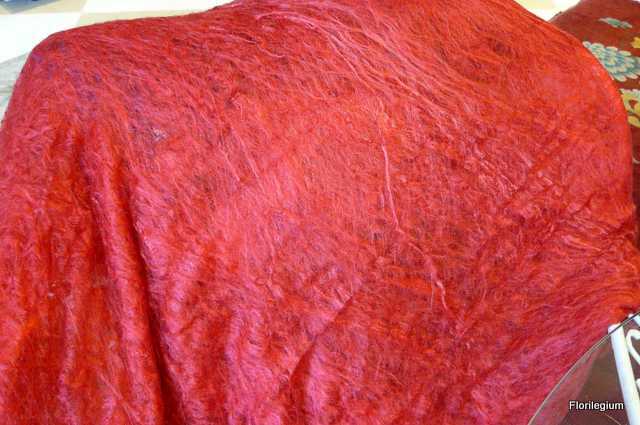 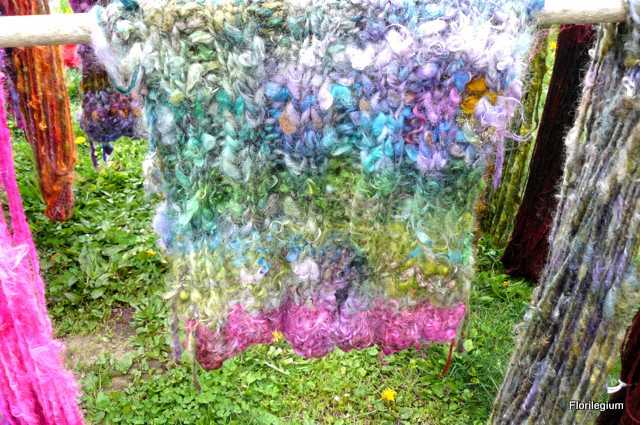 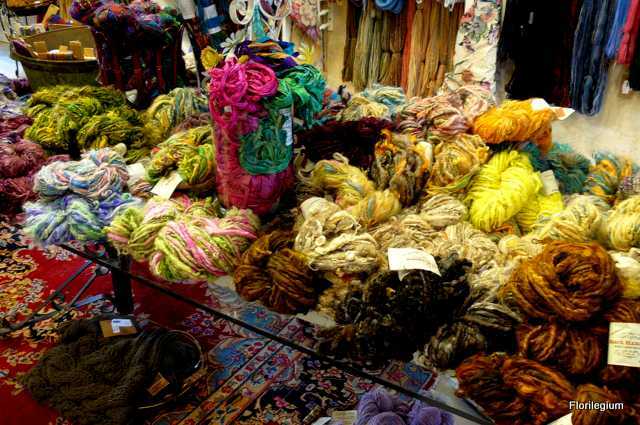 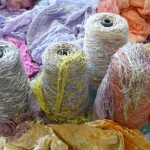 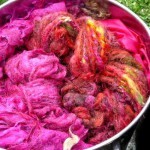 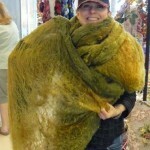 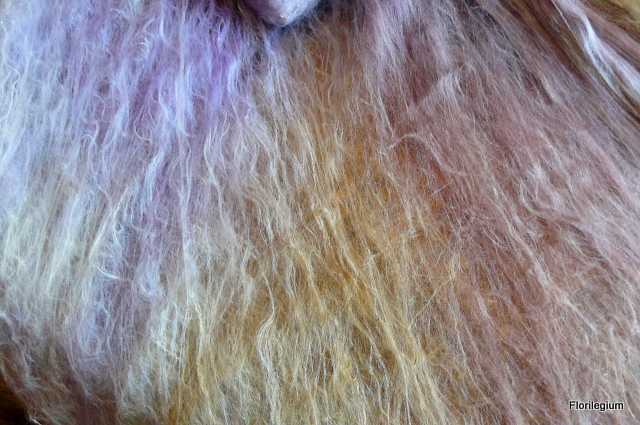 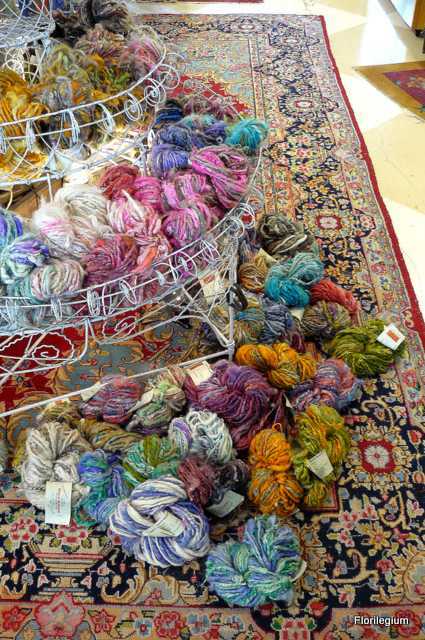 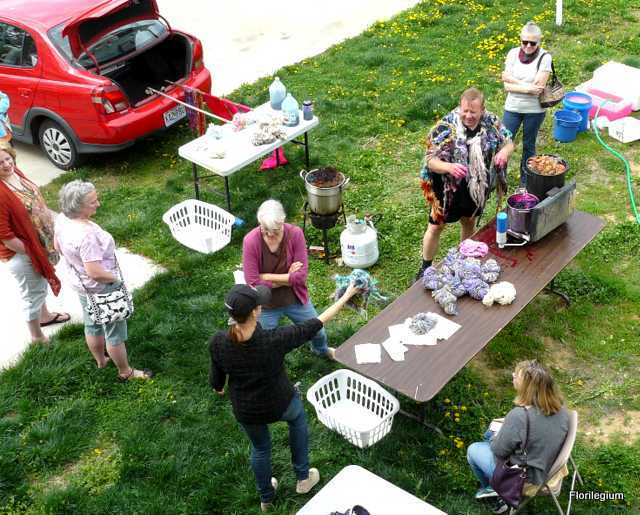 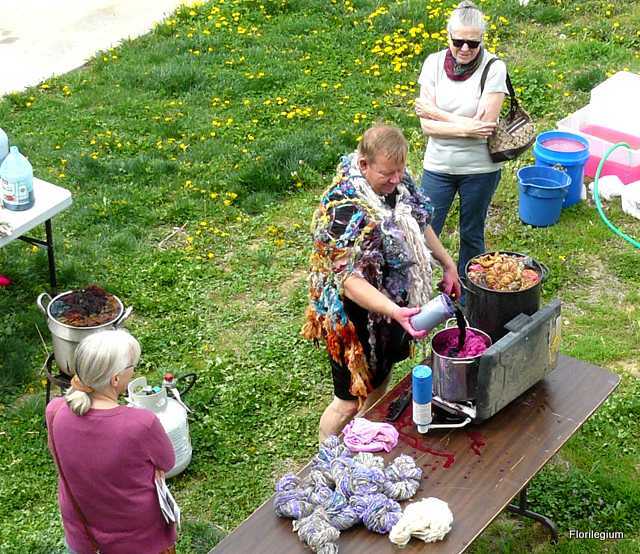 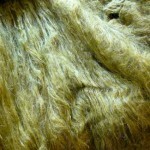 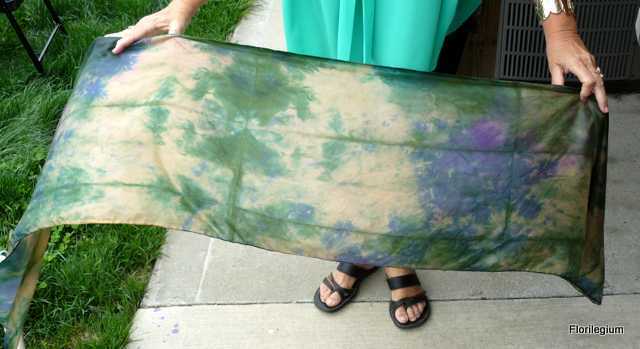 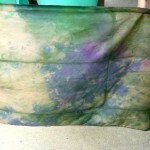 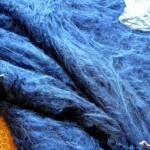 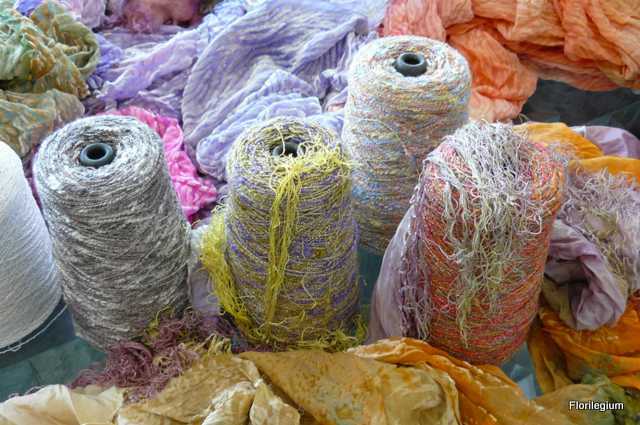 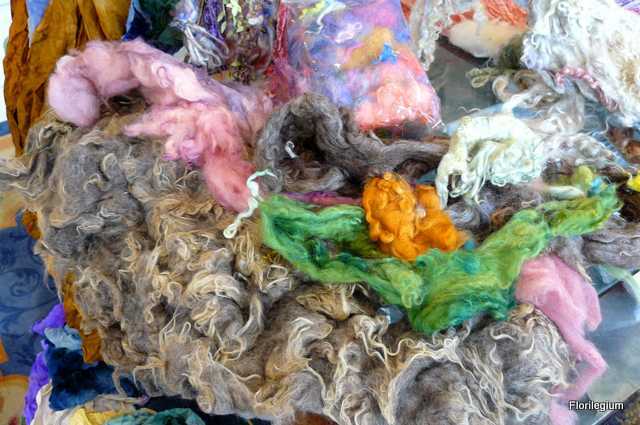 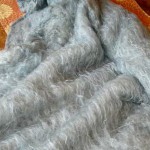 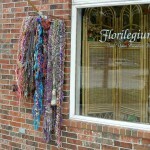 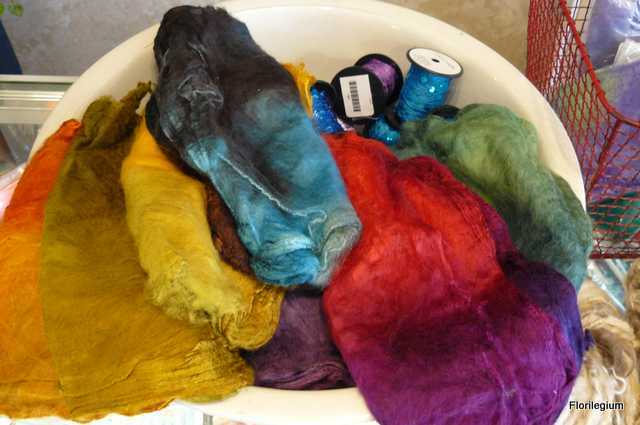 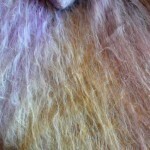 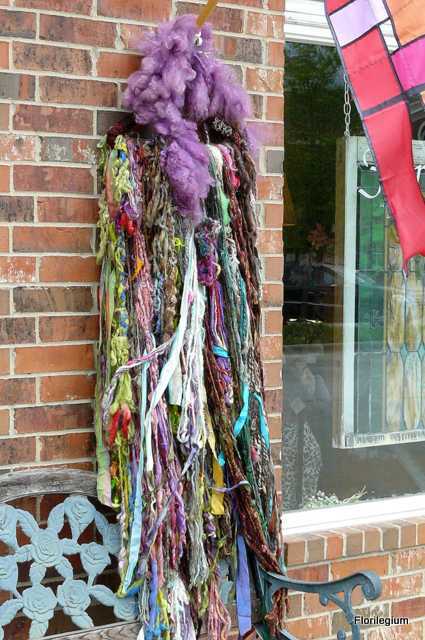 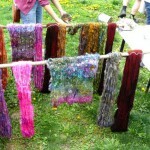 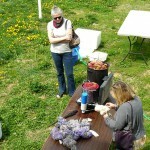 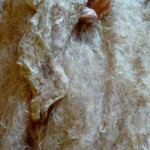 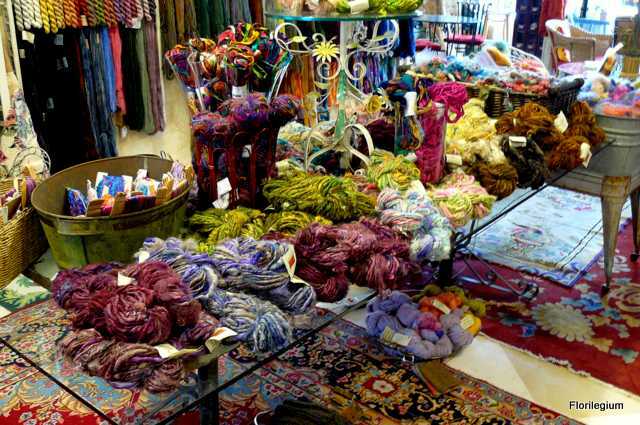 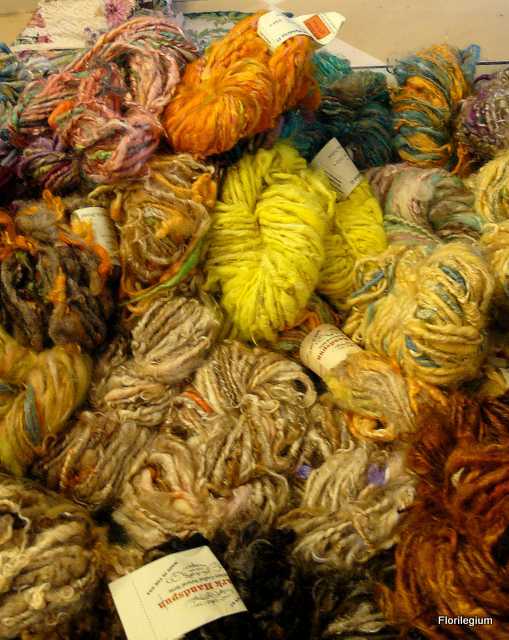 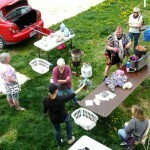 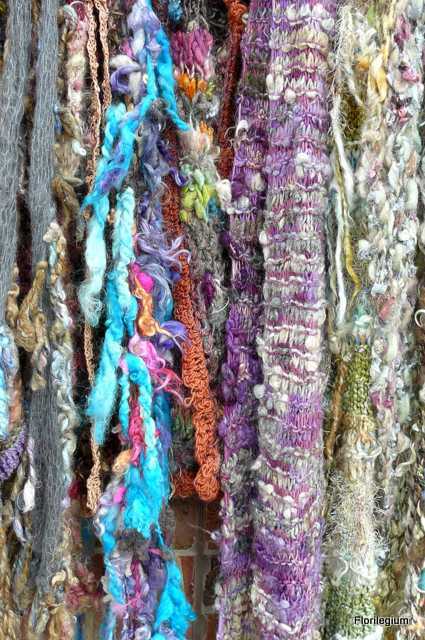 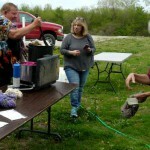 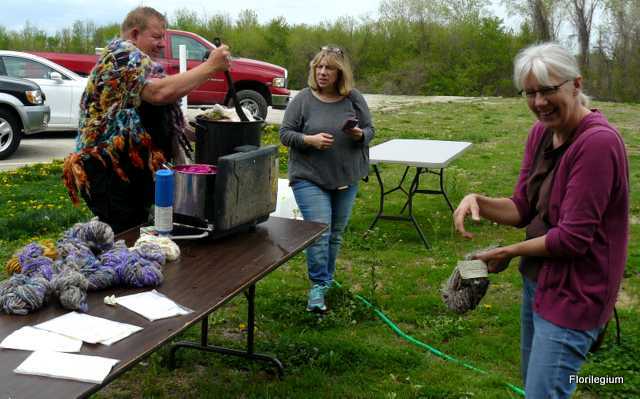 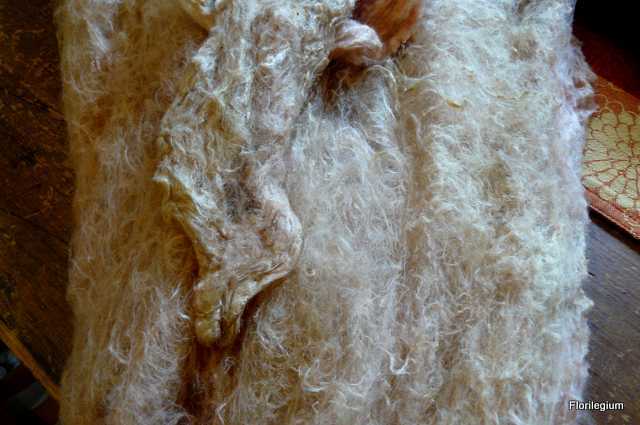 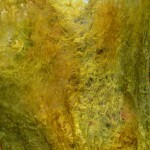 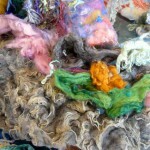 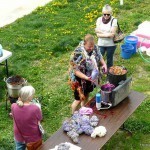 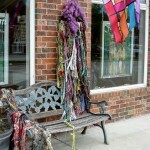 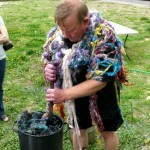 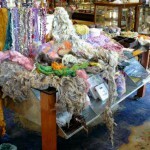 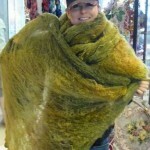 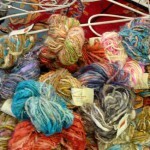 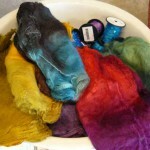 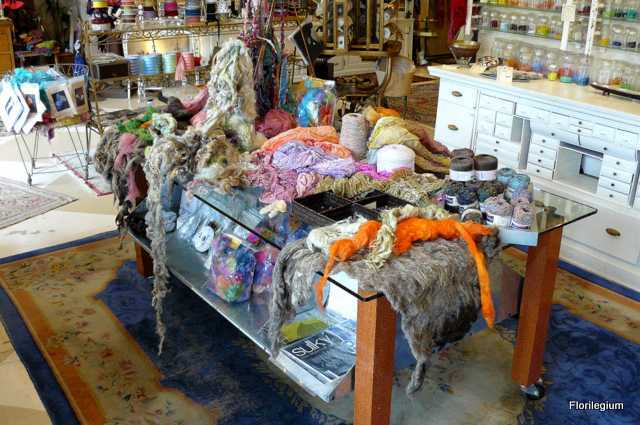 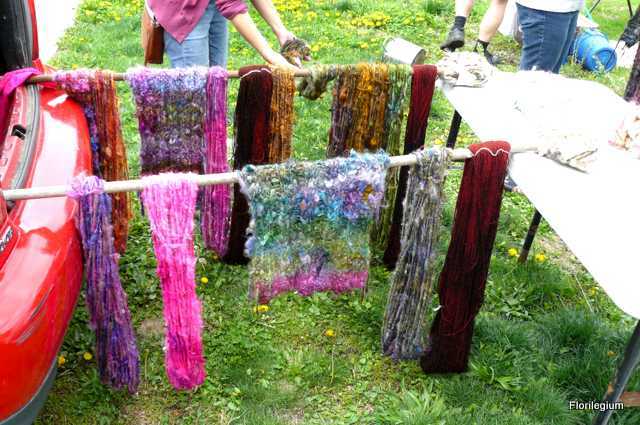 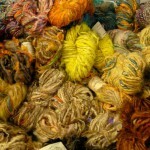 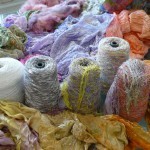 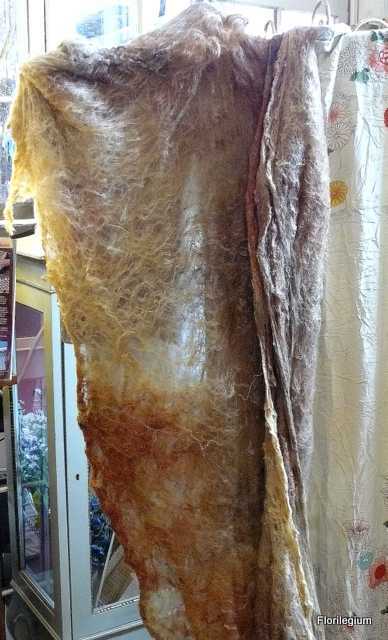 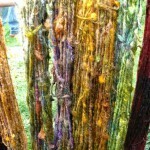 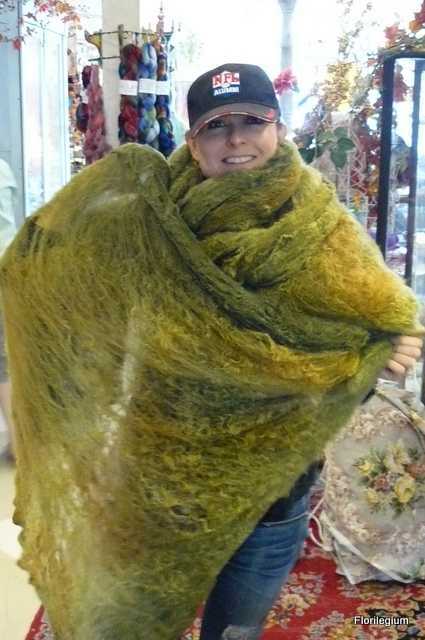 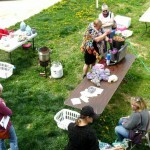 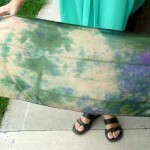 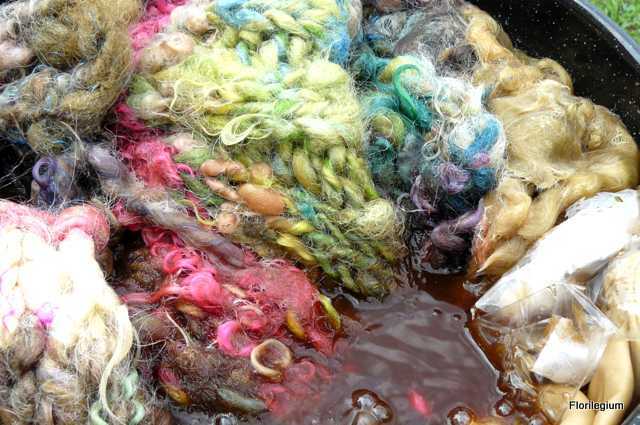 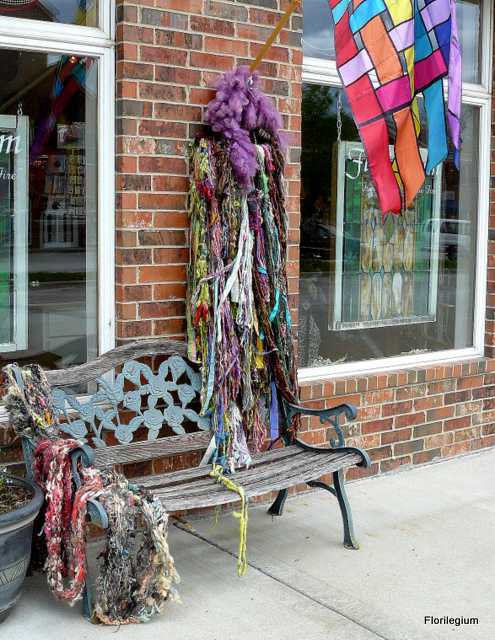 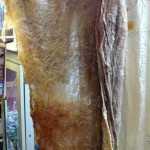 Each of us was able to throw an article into the dyepot and be amazed by the results. 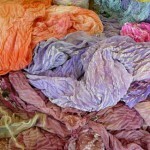 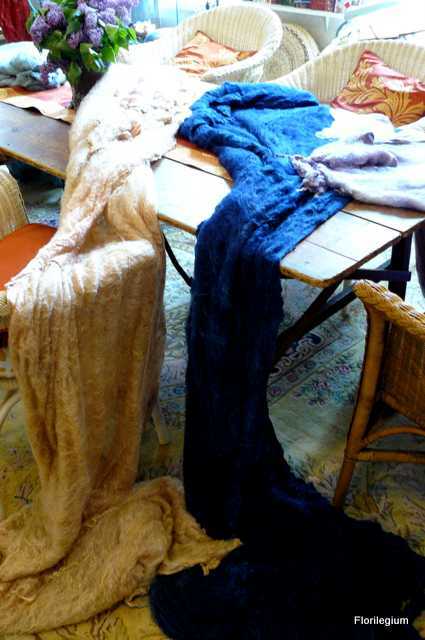 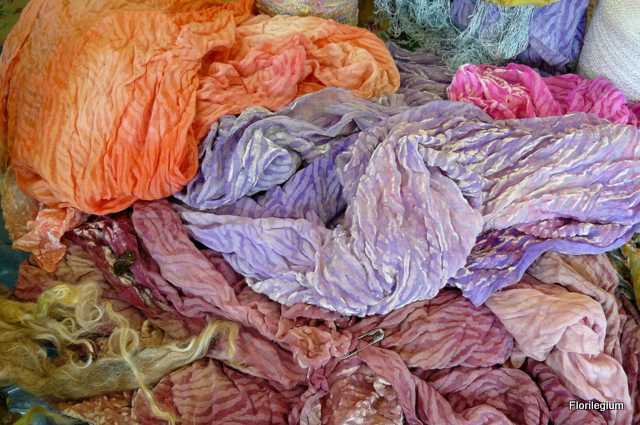 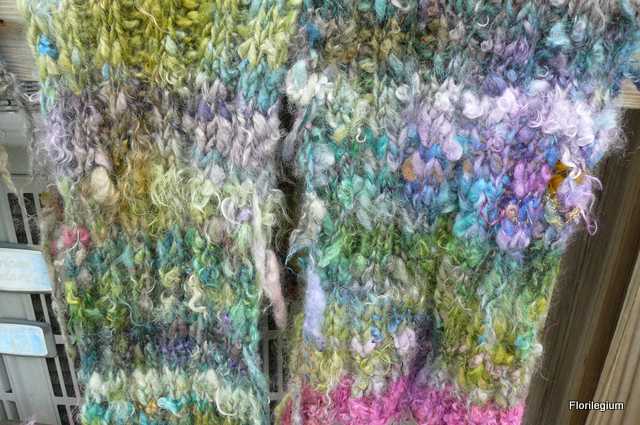 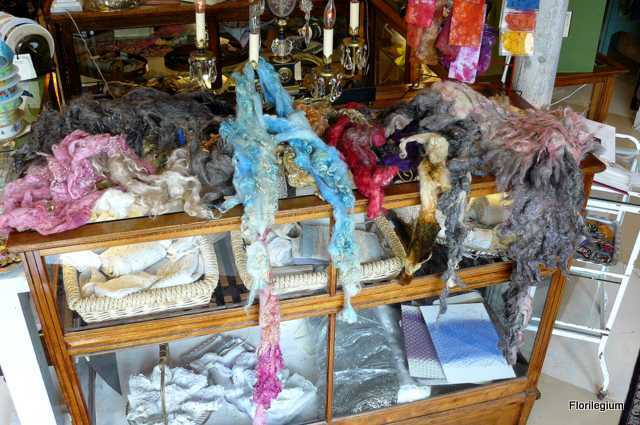 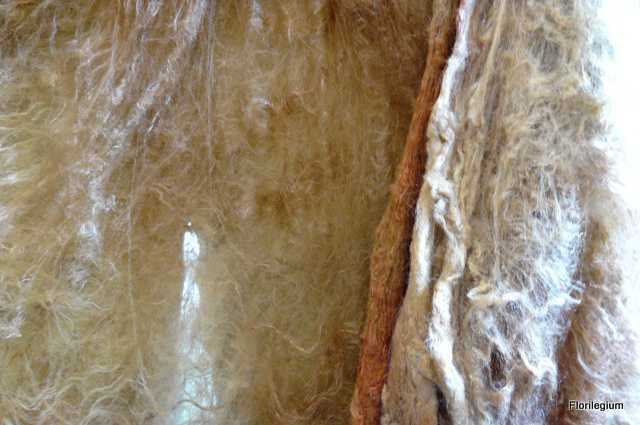 Pure white silk scarves emerged as impressionistic gardens, skeins of wool became richer and more magical, and even already-knitted pieces were enhanced by some time in the bubbling pots. 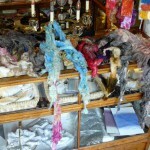 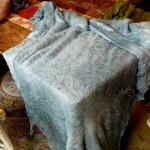 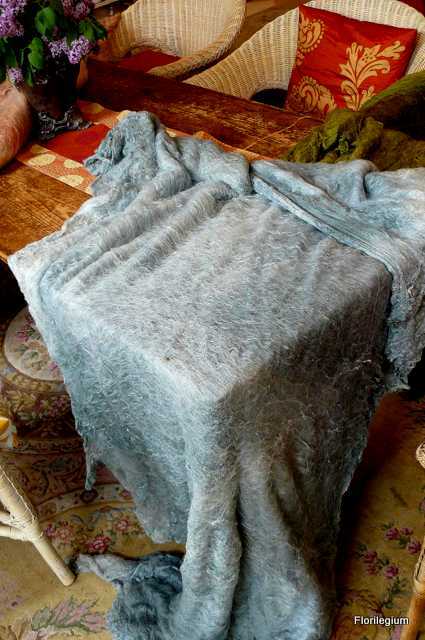 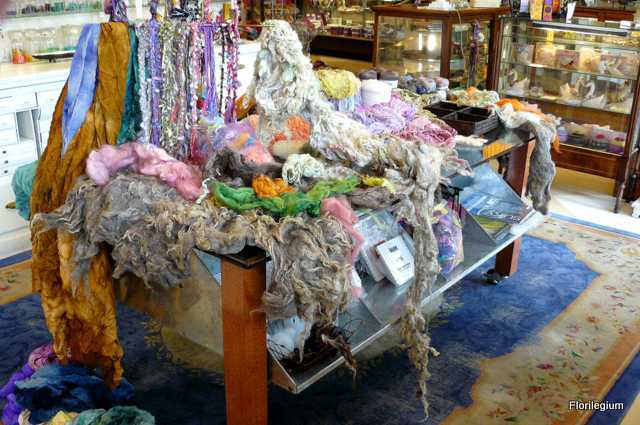 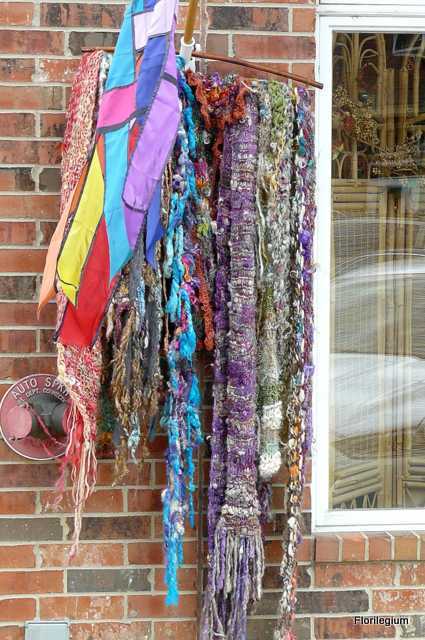 Each time he visits, David loads his car with spectacular yarns, finished objects and, usually, a surprise or two. 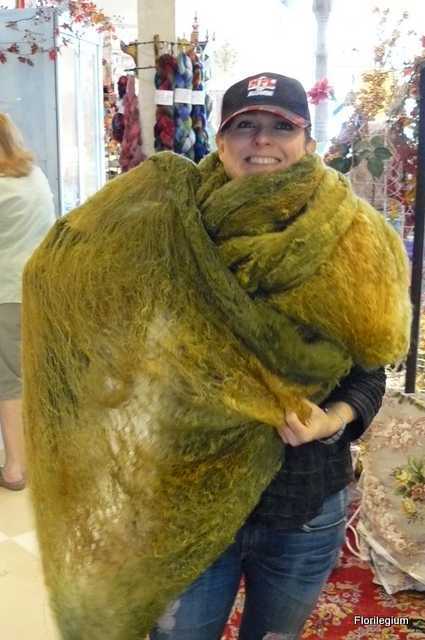 This time the surprise was over-the-top fabulous. 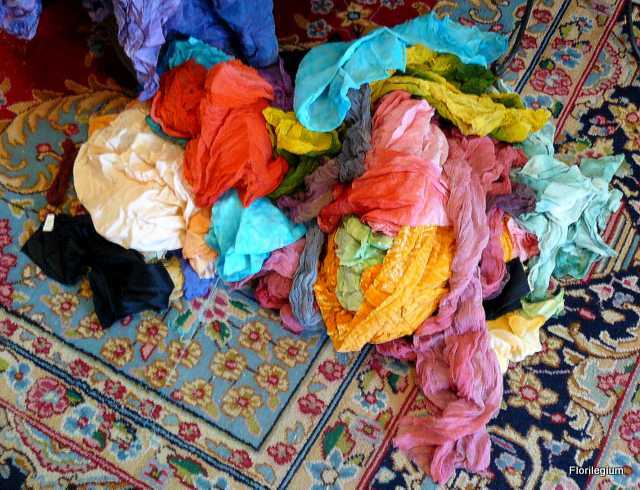 The photos in rows 2, 3, and 4, below, are ENORMOUS silk hankies!! 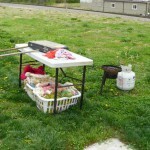 I’ve never seen anything like them, and my wheels are whirling with ways to use them.